"Let's go out here and dominate!" FB Zach Line joins the regular captains - Teddy, Adrian, Grenway and Everson - at today's coin toss. FB Zach Line joins the regular captains - Teddy, Adrian, Greenway and Everson - at today's coin toss. 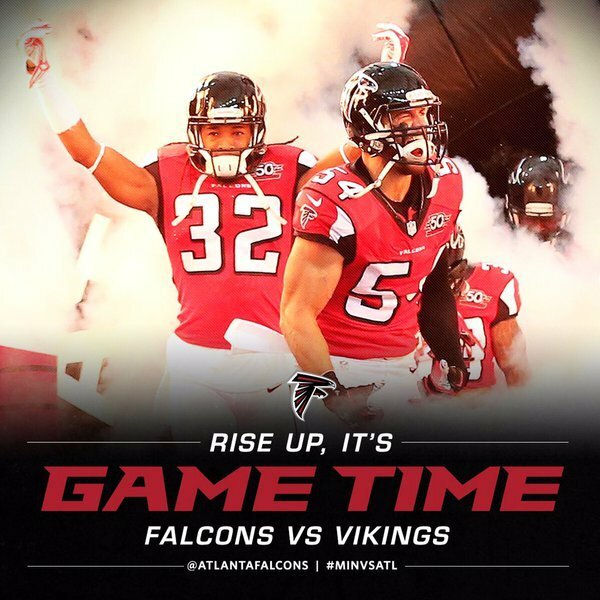 #Falcons win the coin toss and elect to defer. #Vikings will receive the opening kickoff.
.@AdrianPeterson entered today 40 yards from OJ Simpson (20th) on the NFL's all-time rushing list. Has 10 yards so far. #Vikings went TE-heavy on runs, short routes on passes as opening four-play drive stalls with Diggs tackled before marker. 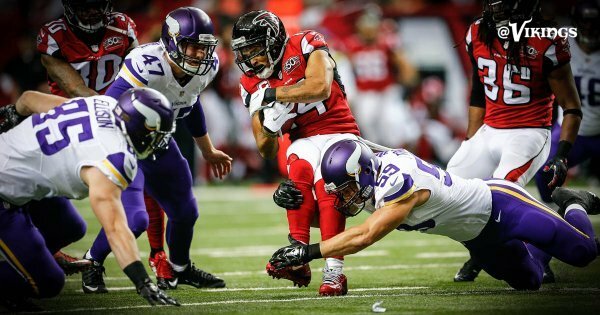 Interesting opening-drive strategy by the Falcons given the Vikings safety situation. 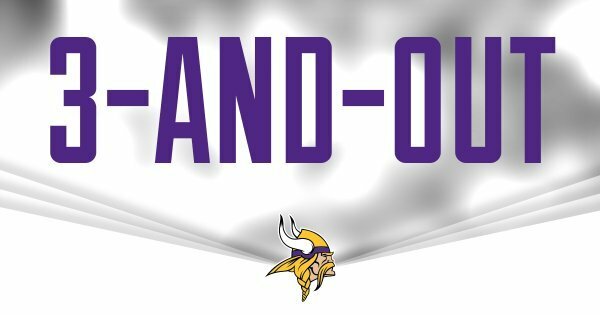 Three plays and the #Vikings defense gives the ball back to @teddyb_h2o and company. A screen pass, wow Norv getting creative! 3 plays, 3 @AdrianPeterson touches and 24 yards for the #Vikings offense on this drive. That last catch was Zach Line's 5th career reception. 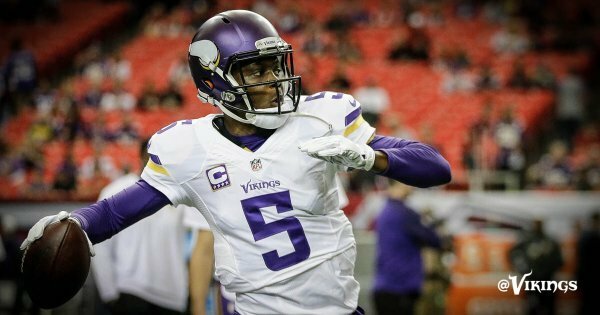 Norv definitely has Teddy getting the ball out quicker and hitting on shorter throws. Makes Bridgewater far more effective.
.@stefon_diggs picks up 16 yards for another #Vikings first down! Bridgewater feeling himself early. Great find with pressure in his face on in-out to Diggs for 16 yards. 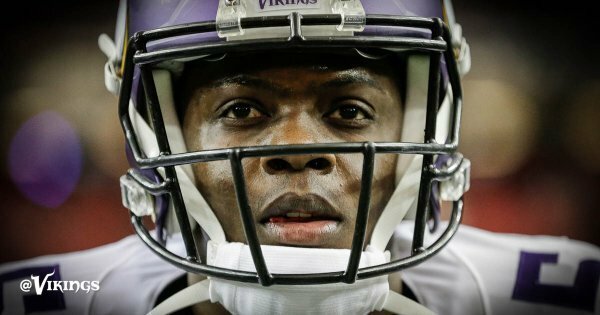 Take yourself a little bit more seriously, NFL.
.@Wallace17_daKid is interfered with inside the 5-yard line, where the #Vikings have a first-and-goal. 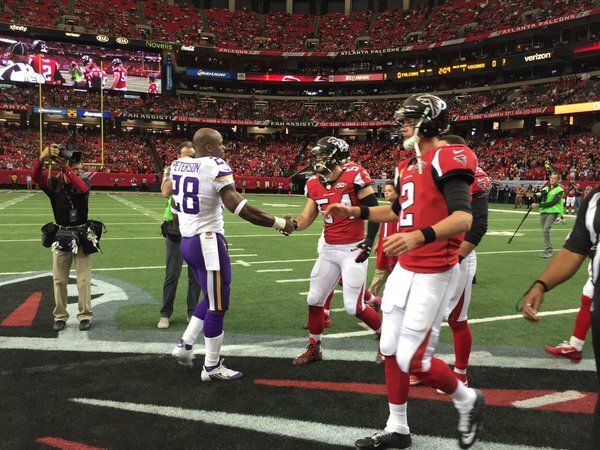 #Vikings have struggled in red zone, not today as Adrian Peterson atones for big drop with one-yard TD run. 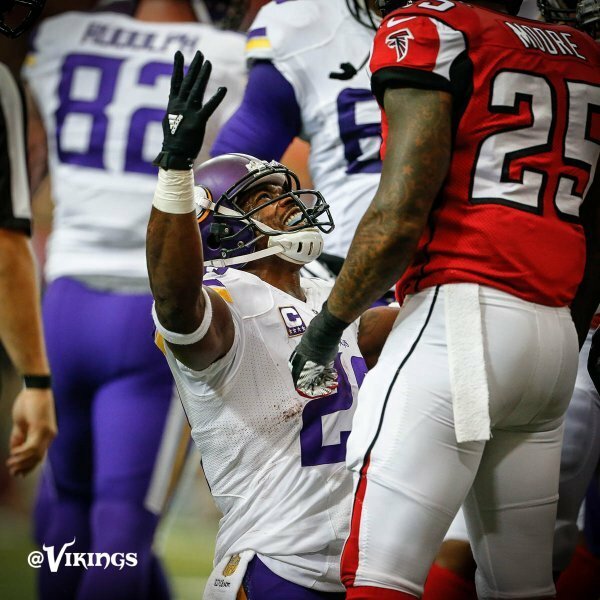 6-0 pending PAT.
.@AdrianPeterson scores his 98th career TD giving the #Vikings a 7-0 lead. Peterson now has 93 career rushing TDs. 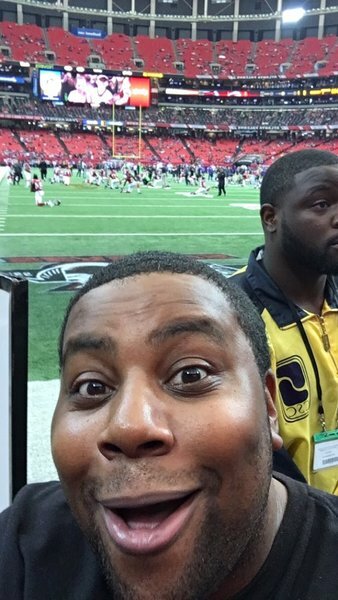 That drive was all about Bridgewater's performance and the play calling off the script. Hat tip to Fox for going to break with "Bastards of Young" by the Replacements. Nice work. 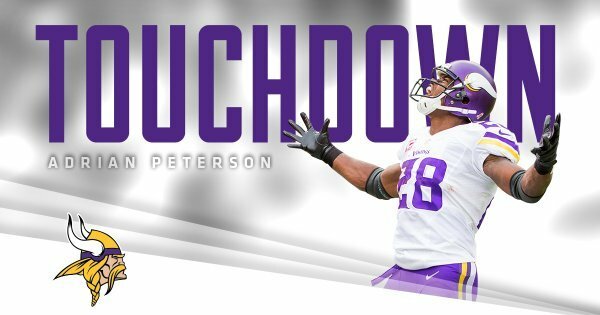 XP is good and the #Vikings take a 7-0 lead on @AdrianPeterson 's 7th TD of the season.
.@AdrianPeterson now 1,026 rushing yards and 7 TDs this season.
.@AdrianPeterson in for the score!